Michael Busch grew up in Minnesota and was one of the state’s top prep position players in 2016. Despite his success, he didn’t “really deal with professional scouts” in high school, he said. 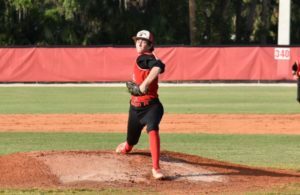 He opted to attend the University of North Carolina at Chapel Hill to continue his develop as a baseball player while furthering his education. 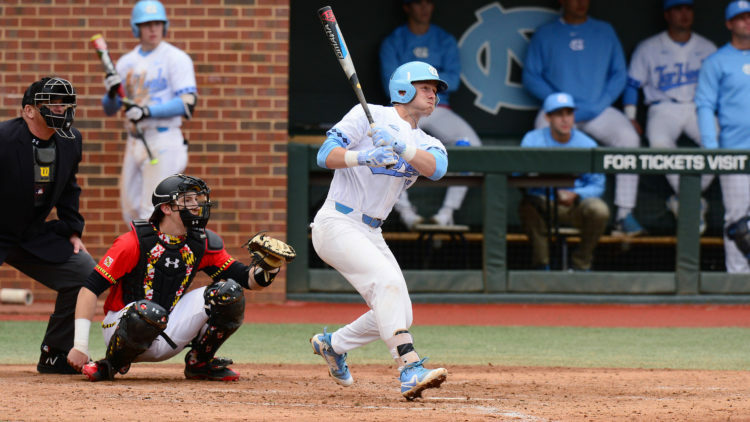 Less than three years after initially enrolling at UNC, Busch has excelled on the field and is garnering attention from pro scouts in anticipation for June’s MLB draft. MLB.com ranks Busch as the 25th-best prospect in the draft. Busch has a knack for hitting and is a versatile player defensively, despite playing first base in his first two years at UNC. 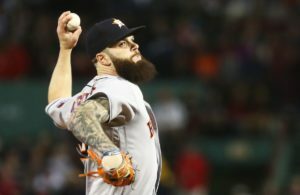 “I just feel like I’ve made steps along the way, physically and mentally, and I’ve been exposed to better pitching and players,” he said. “The better pitching has allowed me to adopt to future minor league and major league baseball. Busch’s best trait is his hitting ability. A left-handed hitter, Busch has an easy swing and uses a balanced approach to hit the ball to all fields. He hits for average and power while consistently drawing walks. As a freshman in 2017, Busch hit .215 with three home runs and 22 RBIs in 55 games. He struck out 32 times while drawing 27 walks. His numbers drastically improved his sophomore year last season. 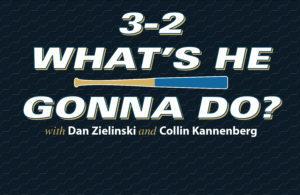 He hit .317 with 13 home runs and 63 RBIs in 64 games. He drew 55 walks and was hit by 13 pitches while striking out 30 times. Busch gained confidence and familiarity with college pitching after his freshman season. He also shortened his stance and changed his mentality at the plate, he said. “I really pride myself on having really go at-bats,” Busch said. “Not being that all or nothing hitter, but just being an all-around solid hitter. Figuring out Busch’s future defensive position is the top priority for scouts. He was a high school shortstop but transitioned to first base as a freshman, as it was the lone position open in UNC’s infield in 2016. He remained at first base last season but then played second base in the Cape Cod League during the summer. UNC also put Busch in left field in fall baseball. He’s an athletic player, despite his 6-foot, 207-pound frame, but has average arm strength. Busch said he doesn’t know what position he will spend most of his time at this spring. Busch knows this season could be his last in college baseball. He’s trying to enjoy the moment and add to the memories he and his teammates have made the last two seasons at UNC. The Tar Heels posted a 44-20 record last season, which included a trip to the College World Series in Omaha, Nebraska. They won their first contest against Oregon State, before dropping back-to-back games against Mississippi State and Oregon State. Building on last year’s success is Busch’s focus this season.